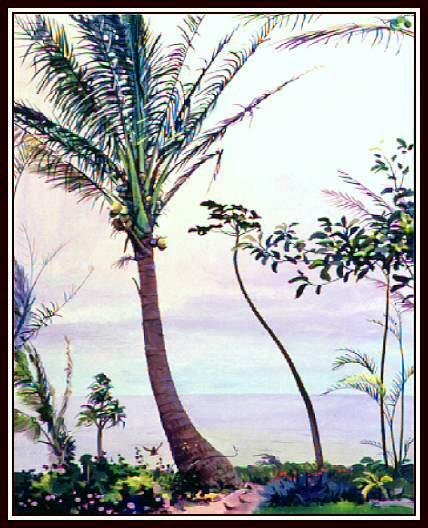 I painted this at my friend Steven Sands Gallery, 505 Front St., Lahaina. He had a great view, right on the ocean. To draw the palm fronds I penciled in about every tenth one to give direction and length. The sky was painted in first. I always start painting at the top left corner because I'm right handed.